The decision to grant Grace Mugabe’s diplomatic immunity by the International Relations Department has been put aside by a High Court in Johannesburg. 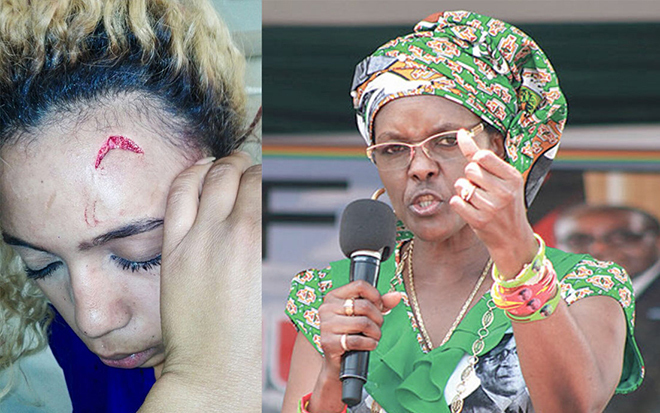 The former first lady of Zimbabwe allegedly assaulted a model, Gabriella Engels, at a hotel last August but was given a pass from prosecution to leave the country. The court’s ruling will pave the way for extradition talks to commence for Mugabe to face charges related to that assault. According to the High Court judge Bashier Vally, the decision to grant Grace Mugabe diplomatic immunity did not fall in line with South Africa’s Constitution. The entirety of Judge Vally’s judgment was not read out for the record, but the order to set aside Mugabe’s immunity was issued. AfriForum and the Democratic Alliance have earlier made the case against Mugabe’s immunity entitlement, stating she was guaranteed blanket diplomatic immunity for being the wife of a head-of-state. South Africa’s International Relations Department claims Grace Mugabe wasn’t granted immunity at the time, but under international law, it had chosen to recognize it.